Your computer is connecting to what? With the Windows version you can use the netstat command in command prompt. It will provide a list of all the programs are using the Internet connection over a period of time. 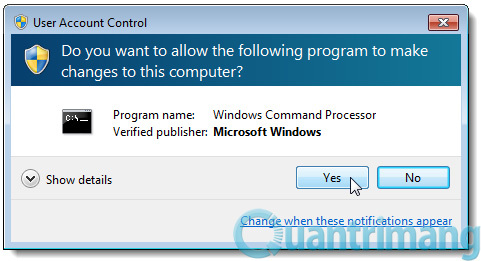 First you need to run command prompt with admin rights. From the Start menu, type "cmd.exe" in the search box. 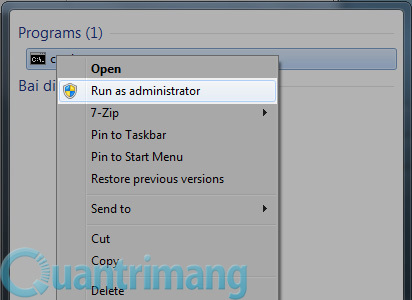 You will see cmd.exe program, right click on that program and select "Run as administrator". -A option displays all pending connections and port connections. -B option tells you which applications are connected, and DNS-f will be said of each connection to be clear about where the connection exists. You can use the option-n if you want to show your IP to connect. Number 5 in the statement that every 5 seconds, the program will repeat the test once and results will be stored in the file activity.txt. Wait about 2 minutes, then press Ctrl + C to stop the command. After finishing the record open data file editor activity.txt with your familiar. Here we use Notepad. The contents of the file activity.txt will be all the processes on your computer (such as browsers, email programs, chat ...) are connected to the Internet in two minutes running netstat. If you see any process or the name and address of the website is, please search on Google about it. Maybe it is a system program, but also that it is a virus program, spyware ... Anyway, if you doubt it, look up information, ask on the forums know for sure until it is. You can also use a freeware called CurrPorts to simplify the screening method to get information. 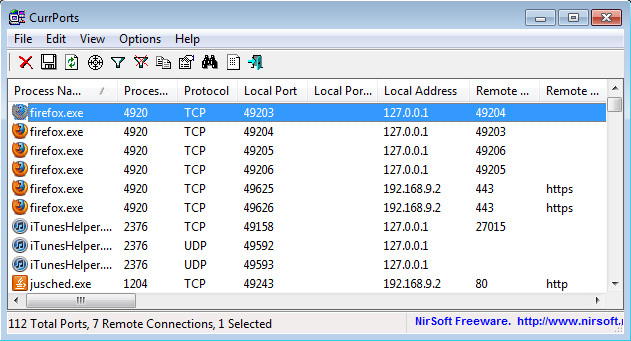 This program provides a more user-friendly interface lets you see all the TCP / IP and UDP ports are open on your computer. CurrPorts is a portable program, you do not need to install to use. You will receive a file. Zip, unzip it and run cports.exe. The program shows in great detail and visual on the process, port, IP ... You can save scan information into the program text or HTML, XML for easy analysis later ..